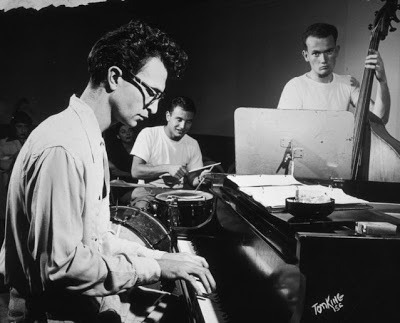 Last week's death of pianist, composer, and bandleader Dave Brubeck continues to be on my mind. So much so, that I have been working on a short series of weblog entries that I plan to publish these over the next few weeks. The focus will be on aspects of Brubeck that the ample coverage of his death may be overlooking in my humble estimation. In the meantime, if you somehow missed the news, here's the New York Times obit. For those of you that wish to dig deeper, I highly recommend this amazing interview with Brubeck conducted by Ted Panken in 2007. It focuses on his early years and is just fascinating. Oscar Moore was near the peak of his popularity in 1947. For over ten years, he had been a member of the King Cole Trio whose string of nationwide chart hits started in 1943, including in a number one pop record on the emerging independent Capitol Records, "(I Love You) For Sentimental Reasons" in the Autumn of 1946. The Down Beat readers voted Moore the top guitarist of 1945, 1946, and 1947. He appeared in print ads for Gibson guitars, had guitar transcriptions published, and appeared on all-star radio and recording dates. 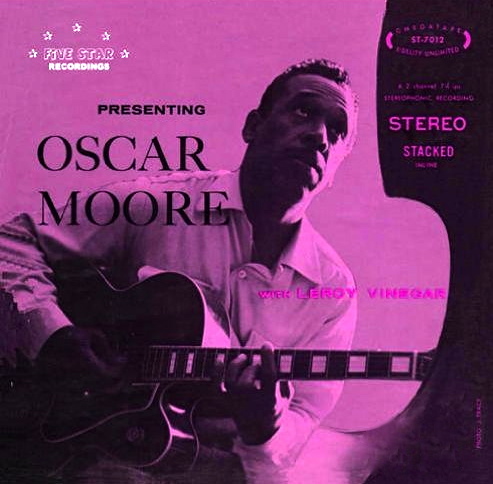 Moore also commanded a tremendous amount of respect among his peers and influenced guitar players ranging from his near-contemporay Barney Kessel to a then teenage Kenny Burrell. 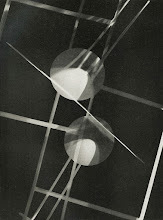 The King Cole Trio up until the time had been more or less a collective, with Moore an equal partner in the enterprise. But the hits all prominently featured the vocals of pianist Nat "King" Cole. Buoyed by success and reportedly encouraged by his soon-to-be wife among others in his management, Cole made a power-play in the latter part of the Summer of '47 that would regulate Moore to the financial role of a sideman. Moore called his bluff and walked. And why not? Moore had already released a handful of "solo" discs on Atlas Records (onetime home to the King Cole Trio) featuring the Los Angeles based combo, Johnny Moore's Three Blazers. Johnny (Oscar's older brother) and the group were experiencing their own run of popular chart hits that betrayed their blues-baked Texas roots. So it seemed not only natural but something of a lateral career move when Oscar walked away from Nat and into the Three Blazers. Unfortunately, the Three Blazers combo had vocalist issues of their own. Charles Brown, the trio's popular pianist and vocalist, decided to sign a solo recording contract in 1948 leaving the Three Blazers in the lurch. The age of the singer was in full swing, thanks in no small part to the extraordinary popularity of Frank Sinatra. The group struggled for years to find an adequate replacement but Oscar drifted further and further afield. 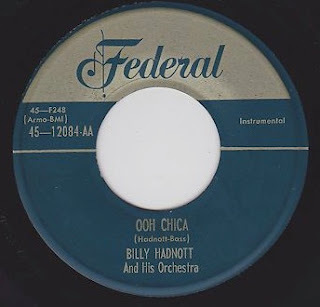 At the dawn of the studio session era in Los Angeles, Moore found some work backing people such as Illinois Jacquet (Clef Records) and Billy Hadnott (Federal Records), as well as eventually cutting some discs on his own starting in 1954. As I discussed on this weblog before, it was around this time that Leo Fender was perfecting his first great contribution to musical instruments, the Fender Telecaster, just a few miles from Moore. Leo was known to be a fan of Western Swing and quite famously made sure his guitar got in the hands of top players like Jimmy Bryant. What is not as well known is the fact that he got one in the hands of Moore. 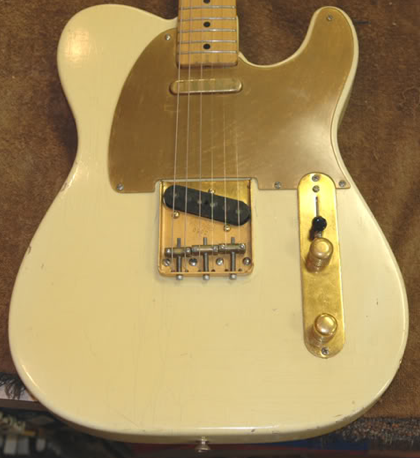 To add to the obscurity, Oscar Moore's "Nocaster" (so named as it was produced in the early to middle of 1951 just before the Broadcaster was renamed the Telecaster) was one of the most unique examples of the guitar in terms of finish and hardware that is know to have existed. What makes Moore's Fender so unique? The biggest aspect is it's gold hardware. Based on other examples of these guitars from the same era, this is the first as well as the only for several years to sport gold metal hardware. Gold metal hardware was commonplace on higher-end archtops at the time, which most jazz guitarists preferred. But Leo's guitar was a working man's instrument seemingly fairly devoid of any such loft aspirations. This shows that maybe this is not the entire story. The guitar is also finished in white. A simple enough characteristic and certainly a color that would become fairly commonplace on Fenders by the end of the decade, but in the nascent days of the company nearly all of instruments produced blond(e). The gold pickguard, again, seems to be a complete one-off and unlike anything Fender would produce for years to come. If Guitar Geekery is your thing, you can read more about the actual instrument here. There seem to be as many questions about Moore and Fender as there are answers. It almost certainly was a custom guitar produced specifically for Moore. But why a jazz man like Oscar who seemed to be on the lee-side of success? It turns out that Fender was fairly aggressive in their efforts to get the Broadcaster/Nocaster/Telecaster into the hands of top players regardless of their primary field of music, which explains why everyone from Jimmy Wyble to Les Paul ended up with guitars from the company around this time. Moore, only 3 years since his last Down Beat honor was still a celebrity of some note particularly in Los Angeles thanks to rhythm and blues hits like Floyd Dixon's "Telephone Blues". Plus, Cole's continued success certainly must have helped rather than hindered Moore, even though he no longer performed with the now successful pop star. Or did he? Nat "King" Cole and Oscar Moore (possibly Jack Costanzo in foreground), 1951. Photo by Leo Fender. Curiously, the only evidence that Moore ever used his Fender in public comes from a photo snapped by Leo himself according to Richard Smith's Fender: The Sound Heard 'Round The World. It shows Moore in 1951 performing with Nat Cole! Moore was never known to rejoin Cole's group after his 1947 departure. In fact, the two were known to have been estranged for years, a situation which was not remedied until Moore's appearance on the June 1960 episode of TV's This is Your Life which spotlighted Cole. But 1951 was a transition year for Cole's working group. Moore's replacement, Irving Ashby, made his final appearances with Cole in the studio of March of 1951. One can suspect that his live appearances ceased soon after. In the studio, Cole was aided by the talents of guitarists Barney Kessel and Bob Bain until he found a permanent replacement in John Collins who joined at the end of the year. In fact, 1951 was the year the King Cole Trio was officially disbanded and Cole begin appearing solely as a single. 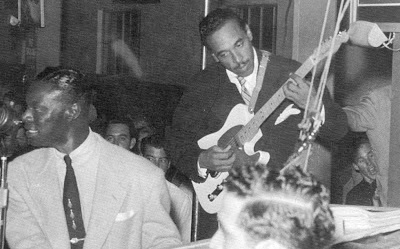 As there is little to no other known documentation of Moore and Cole working together in 1951, one can reasonably assume that Moore was temporarily filling the guitar chair, perhaps even for the night. One final Fender connection is worth talking about. Jon Raney on his EXCELLENT website devoted to his father, the legendary jazz guitarist Jimmy Raney, published a letter from his archives that will serve as something of a final chapter to this story. Don Randall had been a key part of Fender's early success from the first days of the company. By 1953 he was the President of Sales and responsible for bridging Leo's innovations with both musicians and the public. 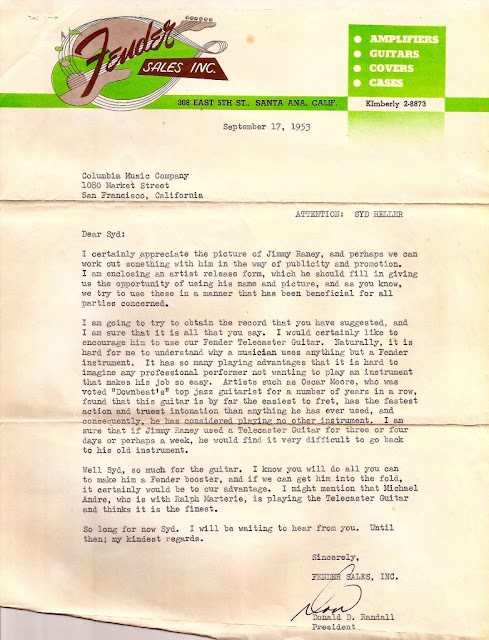 Syd Heller was the owner of the Columbia Music Company in San Francisco, which had no relation to the record company, but rather was a retail shop and point of connection for many of the West Coast musicians of the time. Through Heller, Randall actively pursued Raney and tried to get a Telecaster into his hands. His selling point? Oscar Moore's endorsement! You can read two of the letters in the correspondence here. Oddly enough, there is very little aural evidence to support today's story. Moore's record appearances were sporadic in 1951 and it is difficult to tell for sure how much use his Fender got at the time. He continued to make records until 1957 (with one more 1965 session providing an epilogue to his discography), but nearly every photo of Moore in the 1950s shows him playing a Gibson archtop guitar. Perhaps some time in this great digital age, someone will compile all of Moore's 1950s sessions as a sideman. It would be more than appropriate for an artist who truly was both an innovator and one of the most popular of his time, but who is now sadly in danger of falling in between the cracks of time. Thank you to Jon Raney for allowing me to reproduce the Randall/Heller letter.